Brazil, World Cup 2014 I'm literally overcome with excitement that the World Cup is only a day away! This is the greatest sporting event in the World. Better than the Champions League, the Premier League, the Olympics and the World Series combined. Add in the fact that as a matched better there's more and more bookmaker offers, boosts and deals than you can shake a stick at and it's understandable that there's going to be a lot of fighting for your hard earned money. They say the Grand National makes punters of the nation, well the World Cup should make profit for the nation. A few simple matched bettiing techniques and you could turn a healthy profit over the World Cup, which (let's be honest) was almost certainly going to be a loss. As someone already familiar with the process (been in the game for about 6 months at the time of writing) I just need access to the offers. 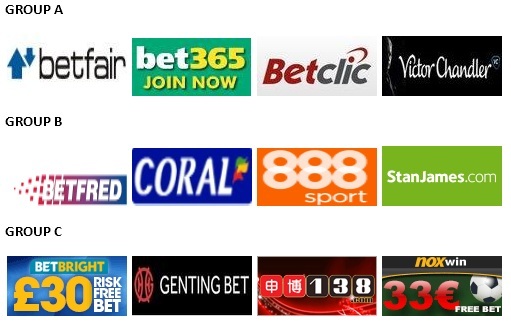 There are so many that it's difficult to keep track of them all though, Thankfully the nice people at The Gambling Times have put together a World Cup offers spreadsheet which has, so far, got over 1,700 offers on it. I'll say that again. Over 1,700 offers on it. It's got all of the new user bonuses and odds boosts (of which there are many) and the if bets for the group stage and beyond. Now in all honesty you're not going to do them all, or even close to them all. Some just aren't worth it, like the injury time turning a winning bet into a loser refunds. The odds at those sites and the chance of the if bet hitting are so slim that it's not worth the time or money. Others most certainly are though. Bore draw refunds, double delight, hat-trick heaven, refunds if England lose........the list is endless. Well not endless, but it's 1,700 and counting! Along side this work of art, The Gambling Times are also running a Bookie World Cup (using an optimistic attempt at twitter trending with #BookieWorldCup). The idea is fairly simple, to find out who's the best bookmaker at the World Cup. Sites have been drawn into groups and they will 'play' against each other in the corresponding World Cup fixtures. Goals are scored through offers and odds. The site with the most gets the win. The good thing about this (so it's not just for the amusement of seeing sites get destroyed by BetFair!) is that each fixture will be posted with the offers, so you'll not miss one throughout the World Cup. Come the end of the World Cup we'll have a team that are crowned World Champions, and also a bookmaker. The smart money is on Brazil and BetFair, but we wouldn't love football or betting if it was that predictable. 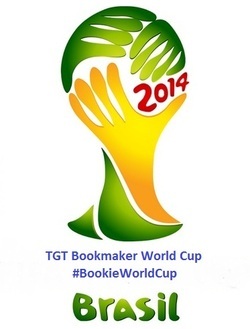 To whet your appetite for the Bookie World Cup here are the groups. 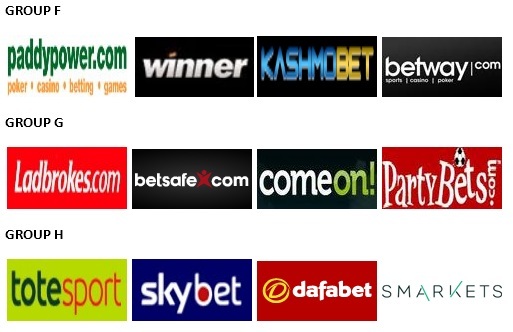 The bookmaker review section here covers about ten of the top sites, the rest you can read in The Gambling Times bookmaker reviews section. I think BetBright might upset some of the more established names, Smarkets go far based on their odds beating more conventional bookmakers and 138 have got potential if they go for an offer bonanza as they have in the past. Really though, when this is all over, I expect BetFair to have one it with some pretty comfortable scores.